The characters of the Marvel Universe have faced many nefarious foes over the years, but one of the most diabolical arch-enemies they have had to contend with is the Nielsen Ratings, and that super-villain struck again hard this week. 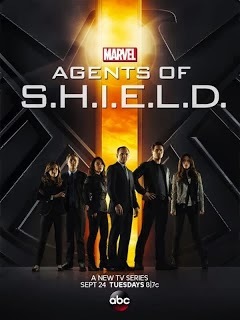 Last week Agents of SHIELD debuted on ABC and pulled the highest rating for a scripted drama in four years with a 4.7 score in the 18-49 demographic and over twelve million total viewers. Wednesday’s episode, though, plummeted to a 3.3 rating with only 8.7 million total viewers (after the final numbers came in). I warned last week that a drop should be expected with the second episode because the premiere attracted curious onlookers who are fans of the Avengers movies and also Marvel comics. But I didn’t expect a drop anywhere near that magnitude as the show sunk 30% and below the 3.5 rating level I had assumed it would level off at through the rest of the season. And the further bad news is that the typical trend sees a continued drop in the coming weeks. Does that mean that last week’s ratings hero is now in danger of turning into a dog and possibly facing cancellation? No, we are nowhere near there yet. However, if this show continues to drop and levels off somewhere near a 2.5 score, that may not be good enough for the ABC execs. While that may keep most hour dramas afloat these days on the broadcast networks, SHIELD is a pretty expensive show, and numbers in that range would definitely count it as under-performing. But I don’t think they would throw in the towel, because this is a pretty high-profile franchise (and ABC is owned by Disney who also owns Marvel). My bigger concern would be if they would eject the Whedon clan from helming the series and bring in a new set of showrunners. That could be very bad because the show has gotten off to a very strong start quality-wise. But then all of this is speculation at this point based on the ratings numbers from two episodes. No sense setting off the red alert just yet with the best plan being to just buckle in and ride it out over the coming weeks. The ratings for the next two or three episodes should be telling. If the decline continues, the series could face a tough road ahead. But maybe it will level off here which would make it quite safe for now. And the series could get a boost when the Thor sequel hits the theaters in November as they are both tied to the Avengers franchise. Keep a close eye on the ratings over the next few weeks. Another show getting bad (even worse) news this week is NBC’s Revolution. That show had a tepid Season 2 premiere last week and it sunk further to a series low on Wednesday when it could only muster a 1.6 rating in the 18-49 demo with 5.5 million total viewers (based on the final numbers). Going into this week, that series had to hope it could actually improve on its debut performance (unlikely at best) or at least remain steady. But dropping to that score almost assuredly dooms the show unless NBC makes a move to reschedule it to a better timeslot. It would provide a good lead-in to the network’s upcoming Friday genre shows (Grimm and Dracula) which debut in a few weeks. But its numbers will sink even lower there and I’m not sure that timeslot can draw enough add revenue to sustain what is likely a rather expensive series. Currently it’s looking like this one could take an exit as early as mid-season (as I previously predicted), though NBC may ride it out for the full year to see if last year’s hit can redeem itself. But don’t expect any seasons beyond the current one at this point and I am moving this to a Cancellation Alert of Elevated for now. In the Tuesday 10 PM EST hour, CBS series Person of Interest also suffered from ratings woes. That one dropped to a series low of a 2.1 rating in the 18-49 demo with 12.4 million total viewers. It’s still not in danger at this point, though. CBS had to know its ratings would drop when they moved it to that hour and its total viewer numbers are still quite high which counts more in a show’s favor on that (older-skewing) network than the other channels. If the show slips below the 2.0 level, there might be some cause for concern, but it’s in its third year (and that much closer to a syndication-friendly count of episodes), so count it as safe for now. And in a surprising bit of news, FOX announced a second season renewal for new series Sleepy Hollow yesterday. That show has been a surprise hit across its first three episodes, but this has to count as some sort of record for a broadcast network renewing a new series. Is FOX forgetting that Alcatraz and Touch performed at similar ratings levels through their first few episodes, only to slip into a death-spiral and eventual cancellation? Hopefully for Sleepy Hollow fans the same pattern will not repeat itself, but don’t count on the network sticking too hard to that decision if the numbers start to go south in coming weeks. Last night, The CW kicked off its Fall premieres with the return of Vampire Diaries and the debut of spin-off series The Originals (which moves to Tuesdays at 8 PM EST starting next week). Keep an eye on the Cancellation Watch Twitter Site latter today for those numbers. And there are still more premieres on the way, so check out the Fall schedule at this link. You can see the status of all the current, upcoming, and recently ended shows over at the Cancellation Watch page.